with SIP trunks and VoIP telephone lines or any combination of services. lines, to ISDN2 and ISDN30 connectivity for your business telephone systems. We offer both hosted telephone systems and onsite telephone systems. systems are installed and supported by our own in-house engineers. We install systems from two extensions through to hundreds. G-Fast Ultrafast Fibre (upto 330Mbps) and Ethernet Circuits from 10Mb to 100Gb. free installations on most services. All services are available with 4G failover/backup. such as hotels, bars, restaurants and coffee shops. business we can offer a tailored package to suit your needs. service for companies and contractors wishing us to work under their brand. Midland Networks can be contacted on 0800 849 8585. Midland Networks started life as a telecom company and it's still the major part of our business. We have expanded our services over the years at customer request to offer related services, providing our customers with one port of call. We are professional enough to carry out work for the West Midlands Fire Service, friendly enough that a few customers come into our offices to pay their bills in person over a cup of tea once a month and competitive enough to ensure a steady growth of customers. We offer everything from telephone lines, business broadband to VoIP telephone systems and SIP trunks as well as data cabling along with data security, network equipment and EPoS systems. Midland Networks have partnerships with leading manufacturers and service providers such as BT, Microsoft, Google, NEC, ZyXEL and Cisco. These partnerships enable us to offer the right combination of systems and services while keeping within your budget. We provide free site surveys that are carried out by qualified engineers followed by detailed quotations with no pressure and no "sign now - special offers", just good advice and fair pricing. We supply business telephone systems and business telephone lines including analogue lines, ISDN and SIP trunks. 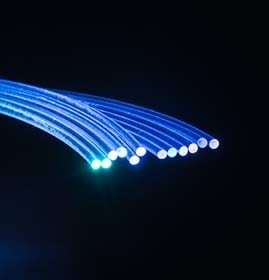 We supply internet connections such as ADSL, VDSL fibre, Ultrafast and ethernet leased lines. We install data cabling such as CAT5e, CAT6 and fibre optics along with WiFi networks. Hosted telephone systems or hosted pbx's as they are often called are becoming the first choice for most businesses and we install hosted telephone systems with, call recording, mobile apps and unified communications. Midland Networks can offer your business a variety of services including network cabling. You can take a single offering such as a business telephone system, telephone lines or internet connection, or combine multiple services to create a fully integrated communications network. Our clients range from small start-up businesses who just need a phone line and broadband, right through to national retailers who require multi-site business telephone systems, lease line internet connectivity or cloud-based data networks. So we are confident we will be able to help your business. Call us today on 0800 849 8585. We Install & support Business Telephone Systems, from two extensions through to hundreds installed either onsite or in the cloud using VoIP phone system technology. 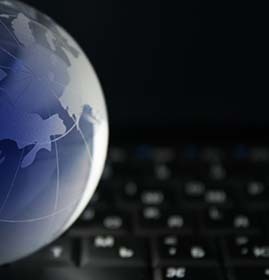 Business Broadband and internet connections. aDSL, vDSL, Ultrafast and Ethernet Leased Line Circuits. We offer the complete range of internet connectivity. Business mobile packages from £5.50 Per month. Unlimited Calls & Texts with 20Gb of Data from £16.00pm with a choice of networks. Data cabling and WiFi Installations. We Install CAT5e, CAT6 and CAT6a along with 1Gb & 10Gb fibre optics and WiFi solutions for schools, businesses and public areas. Discounted line rentals and call charges with over 60% savings when compared to BT. 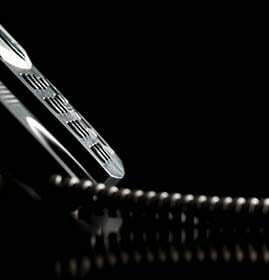 Business Telephone lines from £10.95 and ISDN from £10.00 per channel. We can install onsite VoIP telephone systems with SIP trunks to reduce call costs and add new features or provide a completely hosted telephone system. Midland Networks deal with businesses of all sizes, from a single member of staff through to thousands helping them with all their technology needs. We deal with small businesses, Enterprise size operations and public bodies such as councils and the emergency services. Across are some references from customers in each of these categories. If you would like to find out how we can help your business, contact us today on 0800 849 8585. Here at Midland Networks, we have been national finalists for three years running for Best SME Solution and the Best Customer Service Award in the Comms National Awards. 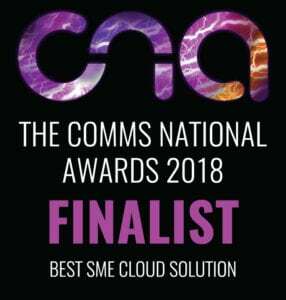 In 2018 we are also in the running for cloud solution of the year and best new business win. Across are our 2018 awards and below some from previous years. Our web enquiry form is designed for those that can't find the answer they are looking for online. One of our advisors will be in touch to answer your questions as soon as possible, or just email us. Log an online ticket, 24 hours a day, 365 days a year. We will normally respond to a ticket within an hour. If you have a more urgent enquiry please give us a call. Again you can call us 24 hours a day, 365 days a year or send a text message. Click here to log a support call. If you're moving offices we can move your business telephone system for you and offer you a telephone system maintenance contract. You might also use this to time to weigh up having a new IP or VoIP telephone system, due to ISDN being phased out. We can also install the telephone lines, internet and data cabling. If you are looking to expand your existing telephone system we can help. We support most business telephone systems such as NEC telephone systems and UniFi along with VoIP telephone system manufacturers. We can add new features onto your IP telephone system, add new extensions or move users around your offices. If you are looking to update or replace your business telephone system, we would like you to take a look at our VoIP Hosted telephone systems along with our Onsite IP telephone systems, We offer a turnkey installation and training service for business telephone systems and offer ongoing telephone maintenance support contracts. Are you happy with your current telephone system and setup or don't want to re-invest but feel you need a better service provider and support? It is often the case that having the right telecoms provider can make all the difference in your business communications when you need that little extra help. Hosted PBX's, Cloud Telephone Systems or the multitude of other names used to describe Hosted Telephone Systems are here to stay and will completely replace ISDN telephone systems over the next few years. They are in essence a telephone system hosted offsite with onsite handsets connecting to the system over the internet. 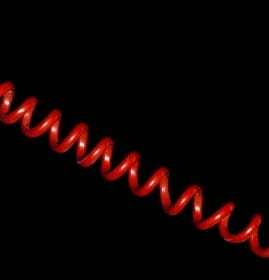 Telephone Lines are ideal for small and micro businesses. Small businesses phone lines are an essential part of the expanding small business's armour. Offering broadband connectivity, business WiFi, faxes, PDQ machines and so on. While technology is slowly moving away from traditional telephone lines, home and small business telephone lines are here to stay. Are you happy with your current Telephone lines, ISDN, internet connections or SIP trunks, but you feel they are too expensive? We can offer very competitive rates and offer a completely free review of all of your services. If we can improve your service while saving you money and it will cost you nothing to get a quote, why not give us a try? Our Business Broadband offering for aDSL comes with up to 24Mb per second speed, unlimited downloads and a Static IP address. Business Internet is key to companies, so we also offer 4G failover, so your business broadband is always available. We can offer dual business internet connections from different suppliers for resilience. Business Fibre Broadband, or Business vDSL as it is also known as offers up to 80Mb per second speeds, unlimited downloads and a static IP address. Again your business broadbands can come with 4G failover, making our business broadbands some of the most reliable on the market. All of our services are also competitively priced. Our Business Ultrafast offers speeds of up to 330Mb per second and an upload speed of up to 50mb per second, this is the ideal service for most small businesses when available. We can also use it as failover for larger ethernet circuits. If you would like business ultrafast broadband please contact us to check availability. Business Ethernet circuits (often called business lease lines) are the most resilient service available and offer speeds from 10Mb to 100GB. 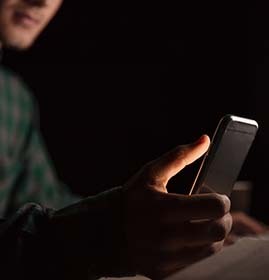 While more expensive than business broadband, they are essential for companies that rely on connectivity and offer a "5 hour Fix" Service level agreement.